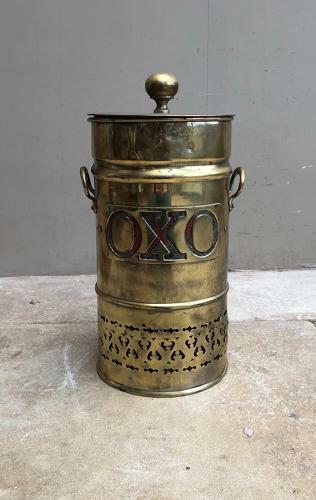 Rare 1930s Shops Drinks Dispenser for OXO. I cant find another and I have never had another. Brass coloured with faded red paint on the OXO. Side handles and tap still present and it has the original lid. It acts as a great large storage jar...a good space at the top. Lovely item to display or use as a large storage jar.